The Secretary of the Faculty annually recognizes four professors from UW-Madison for distinguished contributions to research, teaching and service with the Hilldale Awards. One faculty member each from the arts and humanities, social sciences, physical sciences and biological sciences is selected from nominations by department chairs. And one of this year's winner's is Dance Department Professor Jin-Wen Yu, who is receiving the Hilldale Award in the Arts and Humanities for the 2018-19 academic year. Each winner will be awarded $7,500 and recognized at the May 6 Faculty Senate meeting. Yu, the Vilas Distinguished Professor of Dance, has performed, choreographed or been involved in more than 100 works across the Americas and Asia, and the Boston Globe has described Yu as “a gorgeous performer, sensuous yet controlled and capable of great dynamic detail.” Throughout his career, Yu has blended Chinese and modern choreography while integrating technology into his performances. As chair in 2010, Yu oversaw the development of UW–Madison’s Dance Program — the first in the country — into an independent Department of Dance and expanded the department’s faculty from five to nine. He has orchestrated several dance festivals in Madison focused on connecting American and Chinese performers and has coordinated dance programs reaching 10,000 schoolchildren and members of the public across Wisconsin. Yu has developed two new courses for the dance department and has organized study abroad programs spanning 10 countries. He also developed the department’s first touring performance. 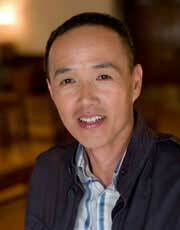 Yu currently serves as the president of the World Dance Alliance Americas. The Dance Department is housed within the School of Education. Learn about each of this year's Hilldale Award winners via this university news story.